Este año es de Generales marinos. Here's a tribute that I think worth mentioning. Even separated by a large time gap, one of the ancient authors krishna: Shuldiner (now retired from Mugen) left important references for the construction of the character. This material is being of great help to create new attacks and build sprites damage. With that I think all of this project were duly mentioned. Over time the project team shows more animations. He aquí un homenaje que creo que vale la pena mencionar. Incluso separados por una brecha de tiempo, uno de los antiguos autores krishna: Shuldiner (ahora retirado del Mugen) dejó referencias importantes para la construcción del personaje. Este material está siendo de gran ayuda para crear nuevos ataques y construir daños sprites. Con eso creo que todos de este proyecto fueron debidamente citados. Con el tiempo el equipo del proyecto muestra más animaciones. It's a good thing when retired creators leave their material for the new generations! Everyone of them should behave like this!! Sergei wrote: It's a good thing when retired creators leave their material for the new generations! currently has more chars and stages than any game sale on the market. And worse, often they have a very hefty price tag and are not all that promise. 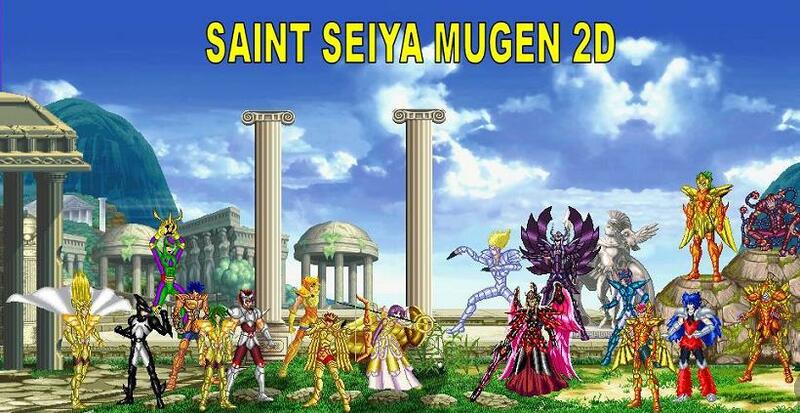 Proof of this is the latest game released by Bandai Saint Seiya Brave Soldiers. Do you have news about the char? Master-Shion wrote: Do you have news about the char? It has many new things in it. Soon we will open the first table of progress. Lack hit some thing. I intend to send a second package of progress for all the authors is still week. After a few conversations, we show everyone the project status. El proyecto va muy bien, el char necesitará un stage nuevo ya estoy empezando a redibujar y remasterizar el stage del pilar del oceano Índico en Alta definición (HD). Follows some progress that the project presents. The hair and the character's face underwent a change being made by Mrkaratesaint. But at the moment he's busy, so we show these improvements the next time. Sigue algunos avances que el proyecto presenta. El pelo y la cara del personaje fueron sometidos a un cambio que está realizando Mrkaratesaint. Pero en el momento en que está ocupado, por lo que nos muestran estas mejoras la próxima vez. Cantidad de Sprit 136 / ???? This year, I'm going full force for this project. The graphical procentagem still around 30%, the programing is around 50% (experimental phase) and the sounds are around 80%. Soon I will give news. And just wait. I come to give some news of the char. The Mrkaratesaint friend is still occupied, so the char follows according to my availability. The graphical continues around 30%. But I began to program the char that is around in 50% (experimental phase), , as well as build snd. The base is the Latin version of mario84. and is in around 80%. In general aspects of the project is in 50%. Follows some animations and hypers that are being tested.